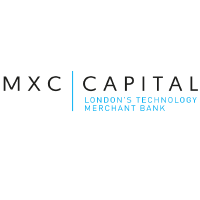 MXC Capital Limited (LON:MXCP) has today announced the proposed acquisition of 25% of the issued share capital of MXC Capital Limited by Ravenscroft Holdings Limited for a cash consideration of £2.25 million. MXCUK is a subsidiary of MXC and is the holding company of the Group’s transactional businesses: MXC Advisory Limited, the Group’s advisory business, and MXC Capital Markets LLP, the Group’s corporate finance practice which is authorised and regulated by the Financial Conduct Authority. Completion of the Investment is conditional upon the FCA’s consent to the change of control of MXCCM, which MXC expects to be forthcoming shortly. Ravenscroft is an independently owned investment services group based in the Channel Islands which has £4.7 billion of assets under administration for both private clients and institutional clients. As announced on 16 February 2018, MXC currently acts as consultant to Ravenscroft in relation to its role as investment manager to the GIF Technology & Innovation Cell, a technology and innovation fund in which the States of Guernsey and MXC are invested. The investment represents a deepening of MXC’s relationship with Ravenscroft, which the Board believes will help to grow and drive further value within the Group’s transactional businesses, as well as provide further investment opportunities within its investment business. The Investment values MXCUK at £9 million which, in the opinion of the Board, is not currently reflected in the Group’s share price. MXC’s underlying portfolio and liquid assets* were valued at 1.46 pence per share as at 18 July 2018 and the closing mid-market share price was 1.2 pence, representing a discount of 18%. For the year ended 31 August 2017, on a non-consolidated basis, MXCUK reported revenue of £1.8 million and a profit before tax of £1.1 million. MXCUK’s net assets as at 31 August 2017 were £28 million which includes intercompany balances as well as certain investments which have since been distributed to the Group’s intermediate holding company, MXC Guernsey Limited, post the year end. The consideration for the Investment will be paid in cash; £1.5 million on Completion, with £0.75 million to be paid on 2 January 2019. The majority of the proceeds are intended to be used in order to fund an Employee Benefit Trust which MXC is in the process of establishing. The purpose of the EBT will be to buy MXC shares in the market to be held to satisfy existing and future share incentivisation awards for the benefit of employees and certain directors. The remainder of the proceeds will be used in line with MXC’s stated strategy of investing in technology companies. A further announcement will be made upon Completion, which is expected to occur in the near future. * represents unaudited valuation based on closing mid-market prices of quoted investments as at 18 July 2018 with privately held assets valued at input cost or the latest fundraising valuation, plus cash and outstanding loan capital.